Skype is considered as the best Voice Conferencing and VoIP programs in the world and there are lots of users who use it on a daily basis, both for professional use as well as personal use. There are millions of people all around who use Skype for voice and video calling everyday. But have you ever considered the fact that it’s not the only software that gives you great service? Have you ever thought of going through the net and see if there are any Skype alternatives that you should look upon? You might have never bothered to even think about it as Skype offers great and high quality service but here are some of the best Skype alternatives that you might consider using it once. Google has always made its way to the top in whichever market it has entered. And one of its many services, Google Hangout can be considered as the best Skype alternatives for video conferencing. With Google Hangout, you can have a video chat with a person and even add up to 8 more users in the chat. The video chat sessions are completely free and you can use it any way you want. If you just need to do a voice call, Google Voice might be the best choice for you. And then there is Google Talk that can be used as a instant text messaging service. Nowadays people use their smartphones more often than their PC or laptop. Because of the awesome operating systems that are available for the smartphones like iOS and Android, it’s much easier to work from your phone. Talking of some of the best Skype alternatives, Tango clearly stands out as it is available for both iOS and Android and also available for computers with Windows XP and up. If you are looking for a good alternative to Skype, then do consider giving Tango a try. Viber is a free application that runs on iOS and Android smartphones along with BlackBerry and Windows Phone that you can use to do video chats and even send text messages, images and videos to your friends. If you have Viber installed on your smartphone, then you can even use the Viber desktop app on your Windows PC or Mac to make free calls, including video calls. Viber can surely be counted as one of the best Skype alternatives as there are millions of users who use the app for doing video chats. Do You Consider Them The Best Skype Alternatives? The above 3 are surely the best alternatives to Skype, but still there are many other softwares and apps that work similar to Skype and delivers great quality. 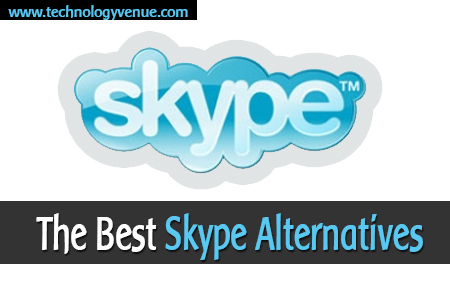 I don’t say that the list of the best Skype alternatives ends here, I am saying that I consider the above ones as the best, but there might be many other tools that you are using and find them to be as good as or better than Skype. If there are some other alternatives that you use or have heard of, I would love to hear about them. Please do share your views about the best Skype Alternatives via the comments below.